Autonomous cars are coming, regardless of how I feel — and sooner than I think. Elon Musk’s lofty prediction that we’ll have driverless cars by 2021 sounds absurd, but the evidence bears him out. Even major car companies like Ford are going all-in on the concept, and I get to bear witness to just how many new innovations are made daily. But I don’t think I’ll be getting one. I know there will always be degrees of autonomy in cars. There may be a time in the near future when I can own a self-driving car that also lets me take over when the mood strikes me — having my cake and eating it too. But I don’t think I will ever be ready to go for full Level-4 autonomy just yet. 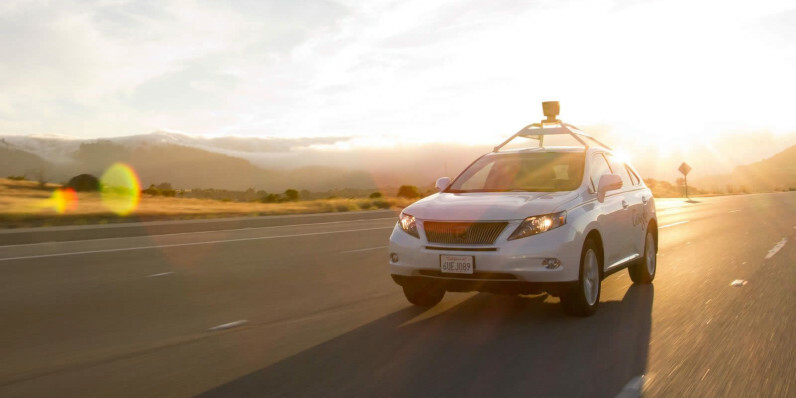 The appeal of autonomous cars hinges on the safety they offer both drivers and passengers. As stated in our 2017 guide on the subject, you’d see a downturn in the number of accidents on the road. And as a 2015 report by the US Department of Transportation claimed, 94-percent of these accidents were caused by the driver. In the face of such benefits, I feel I must look selfish for not entertaining the notion of owning one for the foreseeable future. I’m sure there will come a time — even if it’s a generation away — where owning a car with no degree of autonomy will be seen as dangerous and irresponsible. But when it comes to something like driving, I find it hard to think of the needs of the many over my own — and I don’t want to completely give up driving. To put it simply, I like to drive. I’m not an expert, by any means, but I enjoy the ebb and flow of traffic and the mechanics of maneuvering a vehicle. Empty roads, traffic, long stretches of highway or twisting country roads all represent the same kind of freedom I couldn’t have until I was finally able to get my own car recently. To be in your twenties and reliant on others for transport isn’t a fun state, and having that freedom isn’t something I’m willing to give up yet. There’s a sense of control that comes from sliding behind the wheel that I just don’t think will exist when cars are capable of doing all the work are the norm. Sometimes I don’t have a destination in mind when I’m behind the wheel. There’s a joy in hitting the road with every intention of discovering, rather than just transporting. That’s not to say an autonomous car would take that away — I have no doubt someone could retort that there’s a way to program such a car with “wander” protocols, but it’s not the same thing. Driving also keeps me aware of the world around me. As pleasant as it sounds to kick back in my chariot and watch movies while I wait to arrive — which is bound to happen as cars become more about riders than drivers — the thought of it also sounds almost unbearably detached. I already miss enough by spending most of my life with my eyes glued to my smartphone. How much more would I miss if I didn’t look out my car windows while cruising? I can’t speak for all of society, but I do wonder if anyone else is as reluctant about the idea as I am. I mean, humans didn’t stop riding horses just because they haven’t been the primary form of transportation in a century, so perhaps they won’t collectively desert driven cars en masse. As I said, there will probably always be cars that are capable of being both autonomous and drive-able, so I can’t find it in me to despair just yet. But I look at the glossy plans for Jetsons-esque, Level-4 autonomous cars and I feel nothing. I’m not ruling out the chance I’ll be the proud owner of a robot car in the future (if only for the chance to name it Christine), but I think there’s a chance I’ll never fully give up some degree of control over my vehicle. Maybe I’m already putting myself in a generational box, but I think I’ll probably stick to my boring, passive car for as long as I can.